As the end of 2017 approached, we took a little time away from chilly Chapel Hill and headed south to the Florida Keys, a favorite destination for kayaking and bicycling. A combination of trip planning and luck gave us the opportunity to stay at three waterfront RV sites with spectacular views. The first was familiar to us from our first motorhome vacation nearly three years ago: Hilton Head Harbor RV Resort and Marina. We arrived in time to enjoy an early December sunset with martinis and our Flame Genie firepit to keep us warm. We spent a little more time at Beverly Beach Camptown RV Resort, just south of St. Augustine. The photo below was taken when the afternoon temperature was in the 70s, but most of the oceanfront sites were vacant and we had a nearly deserted beach to stroll. The campground is situated on a dedicated bike path (Flagler Beach to Marineland Trail) that runs along North Ocean Shore Boulevard (State Road A1A), an easy way to bicycle to restaurants, shops, and Atlantic Ocean viewpoints. 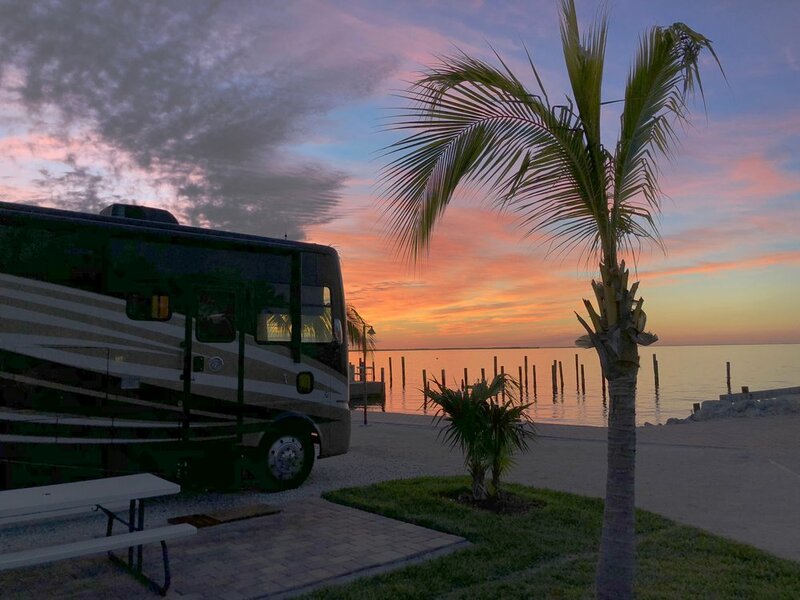 Our destination was Keys Palms RV Resort, and we arrived just in time to see the sun set on the Gulf of Mexico. On this part of Key Largo, the northernmost island of the Keys, there was little evidence of damage from September’s Hurricane Irma. But the storm’s destructive path became more obvious as we bicycled south along the Florida Keys Overseas Heritage Trail, blocked in some areas by large piles of debris. We rented a car to drive to Key West, which also looked untouched by the hurricane; but there were many miles of severe damage along the way, including Long Key State Park and Bahia Honda State Park. The rest of our time was spent closer to our campsite, situated adjacent to a boat launch that made it easy for daily explorations of Blackwater Sound in our inflatable tandem kayak. 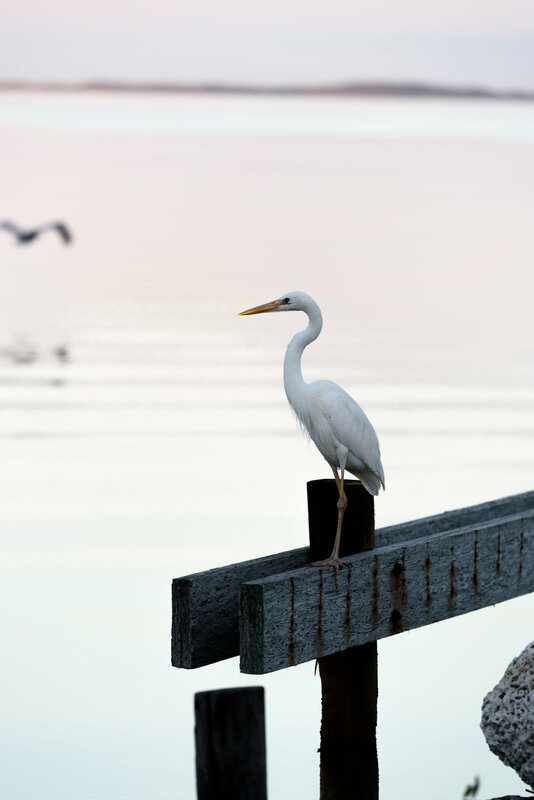 And we had many opportunities to photograph waterbirds right from our campsite, with an abundance of pelicans, cormorants, and a visit from a Great White Heron. View from our campsite early the next morning . 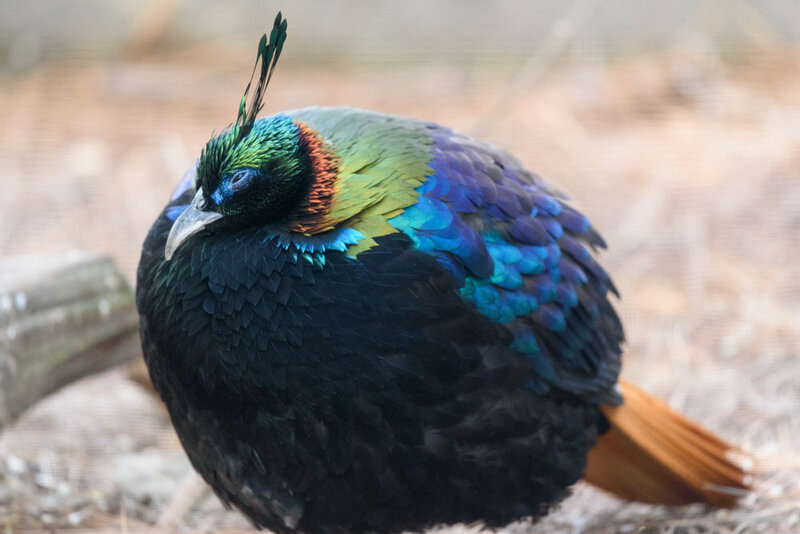 . .
We ended 2017 with more bird viewing during a trip to Sylvan Heights Bird Park, home to an astonishing variety of waterfowl from six continents. This is a world-class gem tucked away in remote Scotland Neck in eastern North Carolina, a two-hour drive from Chapel Hill. 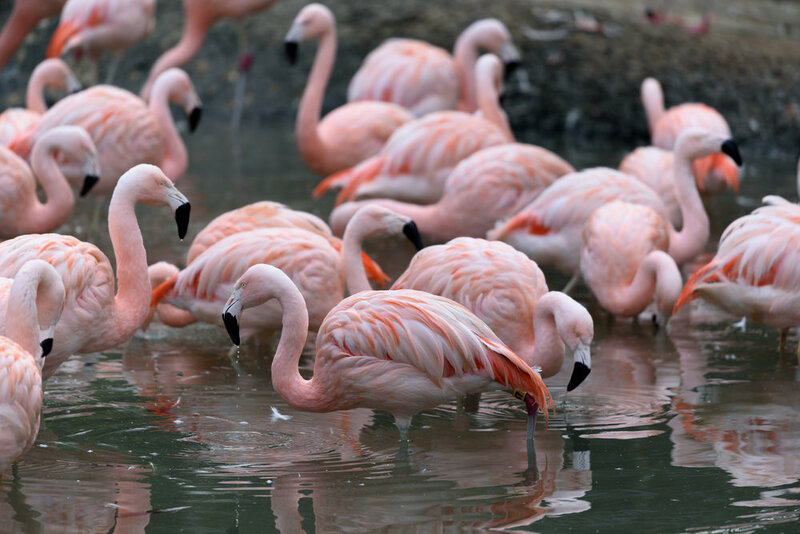 There are over 140 species in the Avian Breeding Center, and visitors can stroll through 18 acres allowing them to see thousands of birds in well-designed aviaries. Most of the birds are cold-tolerant, so there were plenty to see even on a frigid New Year's Eve (see photos below). But we’ll be back when the weather is warmer, the trees are greener, and we have more time to explore the trails and boardwalks through the neighboring wetland areas.